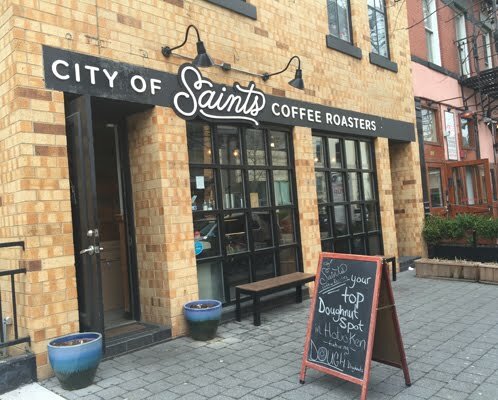 With their headquarters in Bushwick and a booming cafe in lower Manhattan, the NJ location of City of Saints exists as an outpost all too conveniently located on the open streets of Hoboken. The shop really focuses on coffee to go given its small footprint, so the shop is cozy with a standing counter bordering the windows and a pair of benches for outside seating. I was able to visit one overcast afternoon, with much of the morning rush but a distant memory. 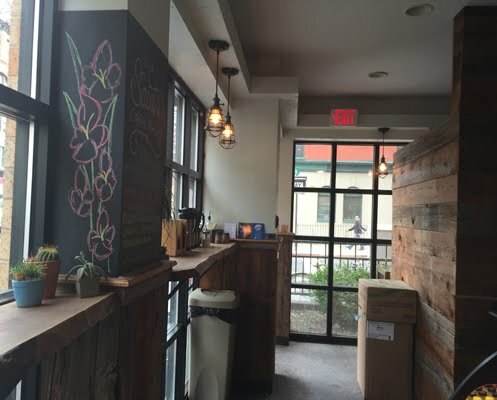 After taking in the ambiance and making small talk with the barista, I ordered up an espresso of their Citizens Blend and a pourover of their Kenya Watuha Kangema. The espresso was pulled short with into a paper cup, smacking of mojito, chocolate, vanilla, blood orange and sugary peanut butter; a bright, smooth and tasty espresso despite the paper cup. The pourover also proved fruity and flavorful, with notes of cherry, graham cracker, flan, apple and cashew in a medium body. After hanging out for a little bit, I took what remained of my pourover and headed out rejuvenated. Thus, whether you're in NJ or NYC, head over to City of Saints Coffee Roaster for a great coffee experience. Just read your article you shared. Just loved all the pics you shared. As a coffee lover I keep visiting different coffee web pages and love collecting coffee accessories. Whenever I do get time we, friends keep visiting the different coffee shops. Will be visiting the coffee shops you shared very soon with my friends. 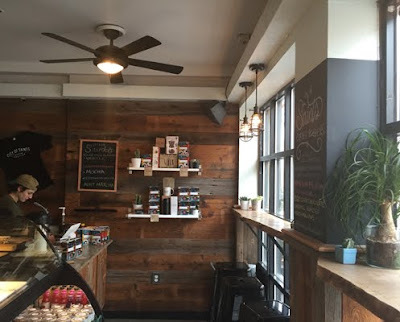 I loved the texture of the coffee shop..